Designed by Guy Hill, our Two Big seating series is classic modern comfort seating. 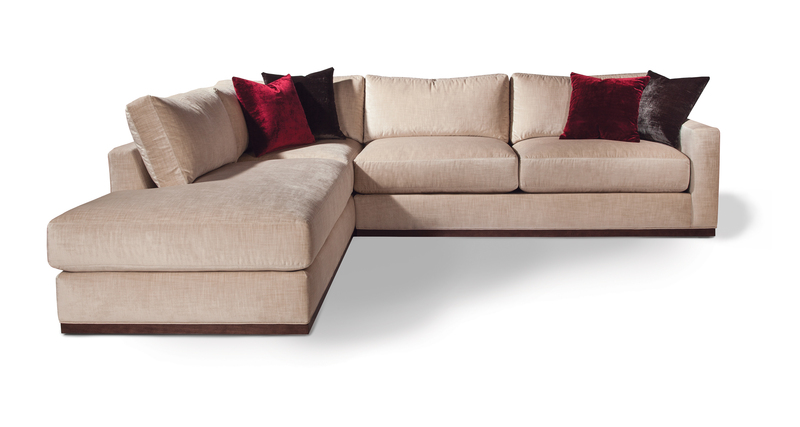 Our Two Big sectional series features tailored poly blend down seats and eight modular units to mix and match to create the ideal configuration. A maple wood base comes standard and is available in any TC wood finish. Select from any of our in-house curated fabrics or leather or provide COM. Maple wood base available in any TC wood finish. Expresso finish shown. Throw pillows optional.